Tip a hat to classic country style with this western-inspired warmer, ready to make any space feel wide open. This warmer will fit in perfectly as part of your home decor! Available for $36 (a 10% discount during the month of May 2019). Normally $40. 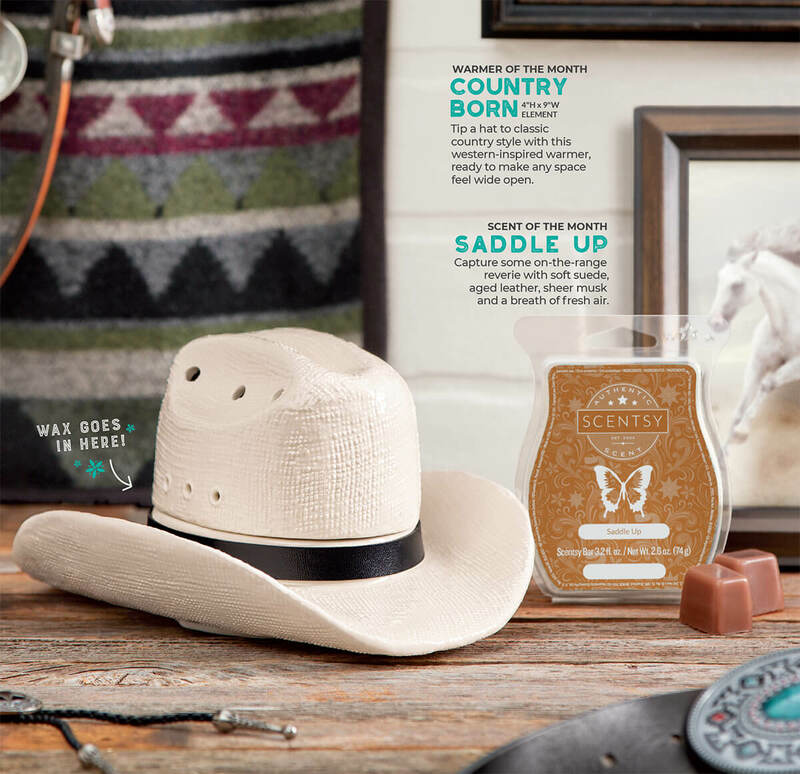 You can pre-order your own Country Born and Saddle Up with me today!